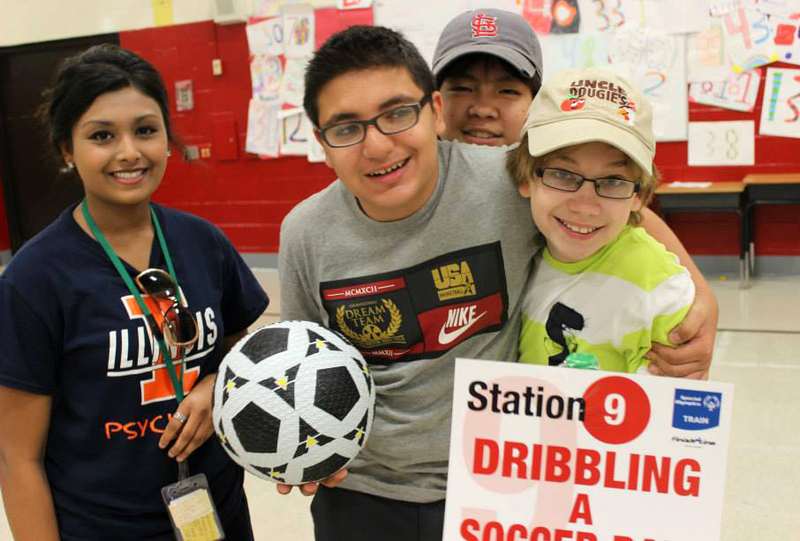 Special Olympics Illinois (SOILL) held its first ever TRAIN (Testing Recreational Activities and Improving Nutrition) event on Tuesday, July 16, at Stevenson Elementary School in Elk Grove Village. 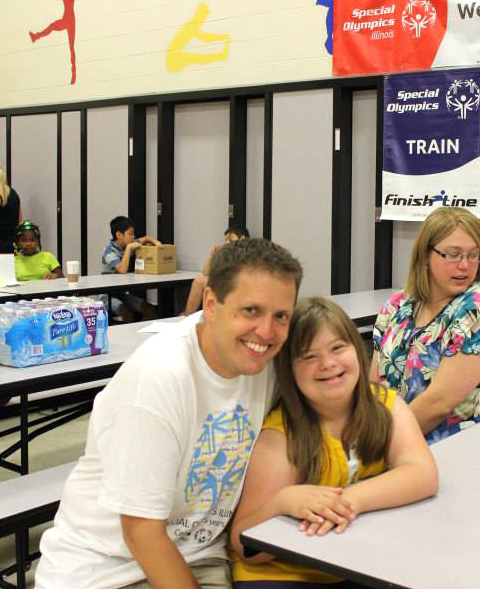 TRAIN is a new program being launched by Special Olympics International (SOI) with the support of Finish Line. The TRAIN program is designed to be a fun way for athletes to test their physical skills, discover new sports to play and learn about exercise and nutrition. 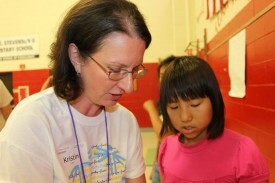 SOILL selected Stevenson Elementary School in District 54 as the first school to pilot this event because of its long history of Special Olympics involvement and its willingness to try out new programs. The TRAIN event allowed 32 Young Athletes to participate and they have already received valuable information from the SNAPPER computer program which compiles results from the each of the 13 stations. The athletes also take home a nutritional placemat and home training kit to help them continue learning and to encourage them to practice good nutrition. Special Olympics Illinois first heard about the TRAIN program at the 2012 SOI National Conference in Indianapolis and was selected as one of the pilot programs. Finish Line is helping SOI expand the program thanks to a $35,000 grant for this year and a $5,000 grant for next year. 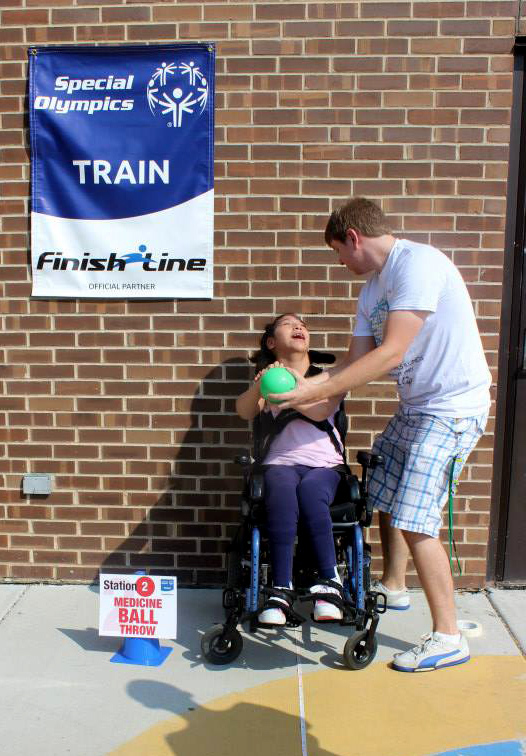 Special Olympics Illinois plans to continue holding TRAIN events with a few events in the planning stages for 2013 in Chicago. The hope is to eventually grow the TRAIN program throughout the state in future years.